First Australian Female Prime Minister. Watching press conference now. 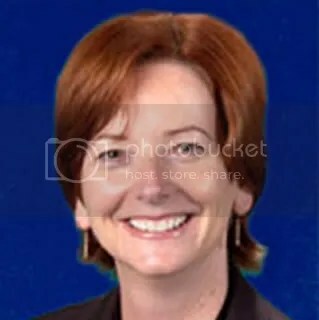 Gillard will form Government with support of Tony Windsor, Independent and Rob Oakeshott, Independent. 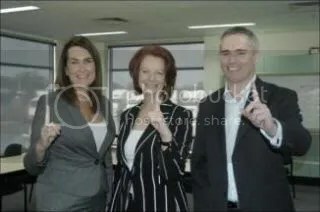 welcome return of Gillard Government. It was announced more or less as it happened on the radio here this morning. I hope she's good for the country – and the planet. The doom sayers reckon we will be heading back to the polls before Christmas. I hope those idiots (600,000) who lodged an informal vote get their act together and behave like level-headed adults next election. hi i am from india, saw Ms. Julia on Indian TV the whole of yesterday advising caution to australians for coming to India for the CWG. Came across as a soft spoken, sophisticated lady. Is she like that?